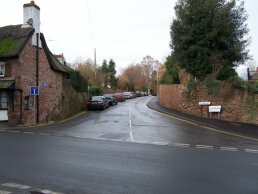 Old Maids Walk, Ross-on-Wye, runs east - west from Copse Cross Street to Church Street and the main entrance to the church yard. 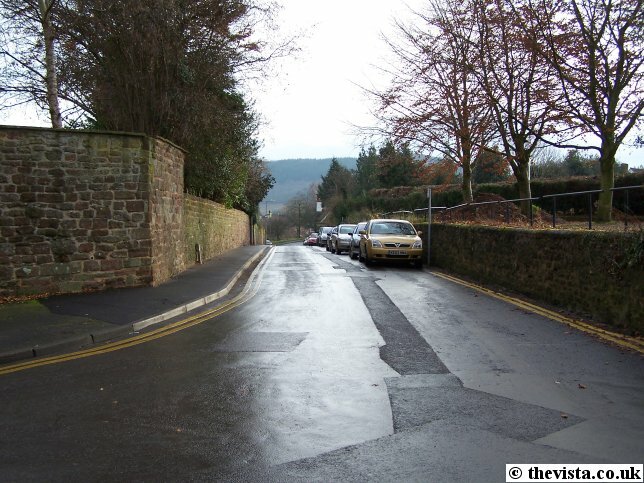 This was one of the last streets to have any development along it because up until 1935 it was the boundary to the south side of the grounds belonging to the "Old" Rectory which had extensive grounds. This was replaced by the "current" Rectory and development of the street happened quite quickly but only for a short period resulting in what is pretty much the same as seen today. Old Maids Walk looking east from where it meets Church Street. 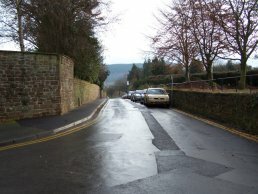 To the left is the wall of the Rectory Garden and to the right is the car park and Ross Bowls Club. 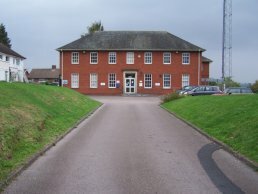 The police station on Old Maids Walk which was built in around 1958. Old Maids Walk looking west from where it meets Copse Cross Street. Just on the left you can see the thatching of the Copse Cross Toll Gate. Where does "Old Maids Walk" come from? During the 17th century, Mr. Markey, a wealthy man obsessed by his garden, owned Alton Court. It is said that an early frost killed his favourite plants and he blamed and fired his gardener. He then had to take on a replacement, a young, handsome man called Ralph Mortimer and, although Ralph was poor, he was reputedly descended from the Mortimers of Wigmore, Leominster. Ralph was an excellent gardener and the gardens flourished in his care. In parallel, he had secretly fallen in love with Mr. Markey's beautiful second daughter, Clara. Because of the class barrier, their relationship was never going to get the Markey's family approval and, to add to the problems, Mr. Markey arranged for Clara to marry a young man from the Rudhall family, another local high class family of land owners. Clara was wept at the news and Ralph was distraught. 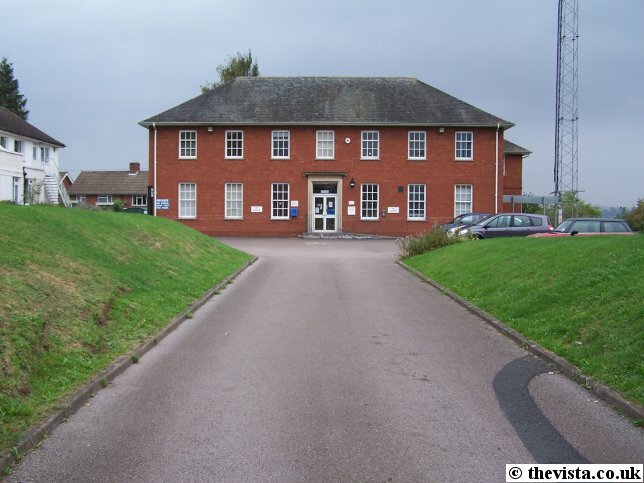 This resulted in his suicide and his body was found in the Wye. 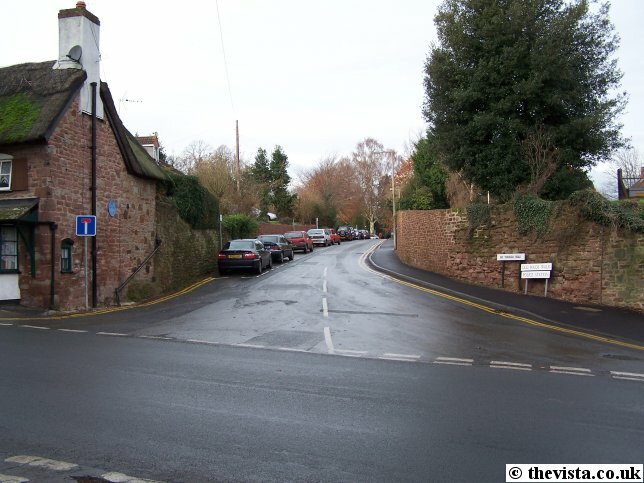 This resulted in Ralph's body being taken to the junction between Alton Street and Copse Cross Street (called Corpse Cross Street) after Sunset and a stake driven through his heart, "to ensure he would not walk and bite people in their beds". His body was then dropped into a hastily-dug hole without a Priest present (which is one derivation of the name Copse Cross Street). The act of interring suicides here continued until 1923 when a law was passed to prevent the act. A few days later she walked down the isle to marry Mr. Rudhall but she collapsed into a trance before the service completed. She was taken home but vanished a short while later and was found at the Alton Road crossroads looking for Ralph's unhallowed grave. At every opportunity she would return to the crossroads and pace up and down the lane to Copse Cross Street. Being as no-one seemed to be able to prevent her doing this, her lonely vigil continued for for decades until she died which ended the forever the Old Maid's Walk.